One of Robert Baratheon's two younger brothers, Stannis plotted the murder of his brother Renly to rid himself of a rival after Robert's death. Stannis was a serious and severe man who preferred the solitude of the family seat in Dragonstone to King's Landing. 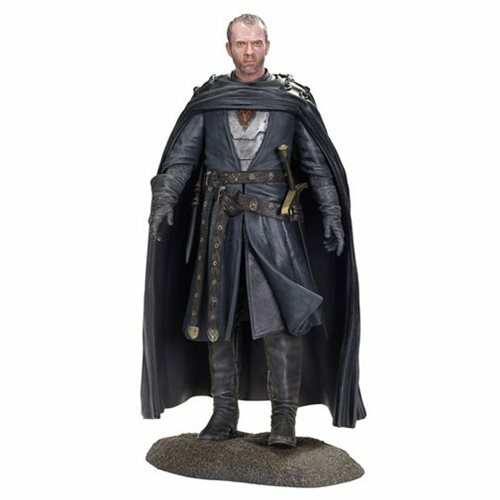 The 8-inch Game of Thrones Stannis Baratheon Figure is going to look fantastic on your desk, just keep an eye on his ambition - and his authentically recreated costume and weapons! Ages 17 and up.